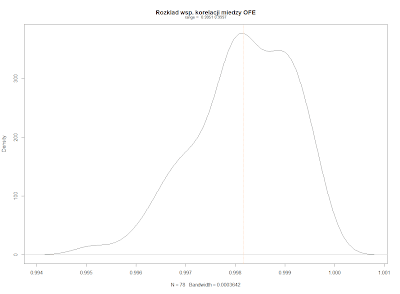 I've recently mentioned that only some small Polish non-benchmark (semi-hedge) funds decoupled from the general market deterioration in 2011. 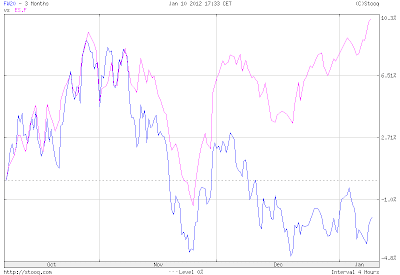 But how they really compare to the market and how they are correlated between themselves? The annualized return over this period is -0.14%. 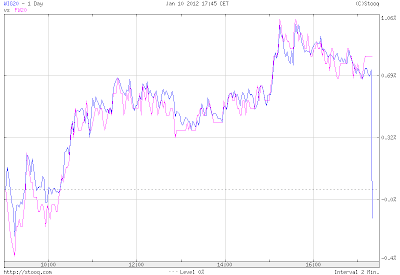 Meanwhile, WIG20 returned +12.15%. 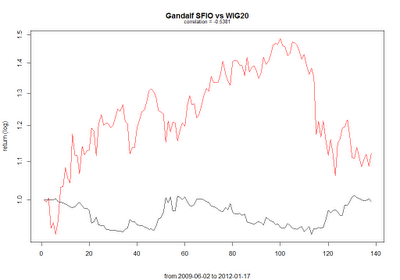 The main feature of Gandalf SFIO is its low negative correlation with the index. 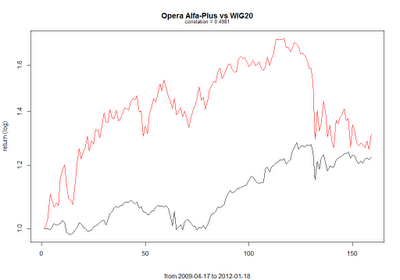 In contrast to Gandalf SFIO, the correlation between Opera Alfa-Plus and WIG20 is slightly positive. 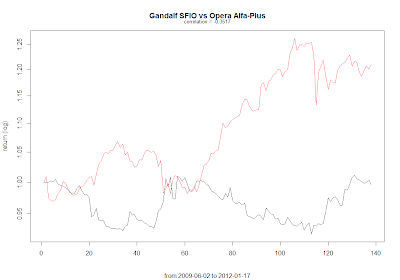 Opera Alfa-Plus has clearly been better performing than Gandalf SFIO so far, but the funds have been negatively correlated, so the future may change that. Nevertheless, beating the index (basic buy and hold strategy) is not an easy task. So what do you get for the management fees? 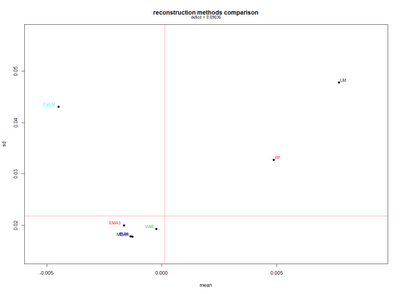 I've been playing with reconstruction of missing observations for the last couple of days. Say you've got a quotations of some equity that miss some data points. 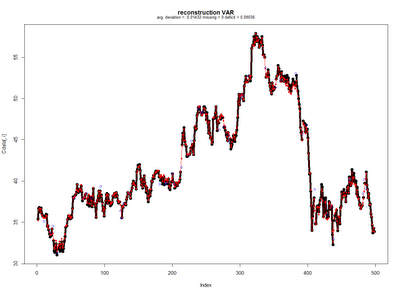 You may want to have them reconstructed for example for pairs trading. 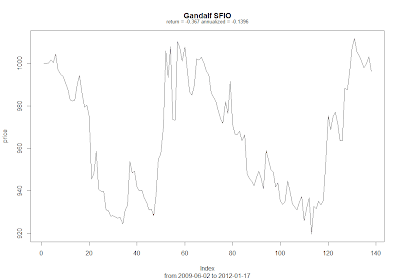 I've preliminary tested a number of potential methods from simple mean to Dynamic Linear Models to Random Forest. 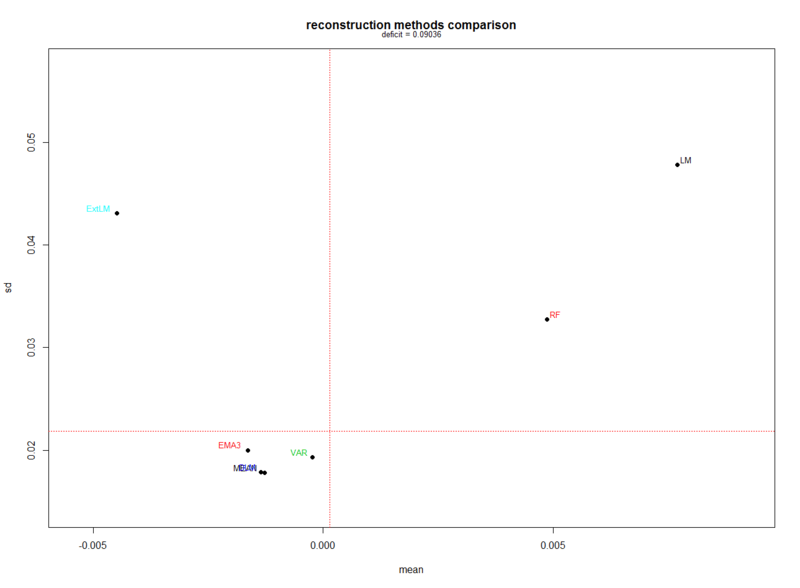 Performance varies, but for the moment three reconstruction methods seems to lead the pack: simple mean, some Dynamic Linear Model and Vector Autoregression. 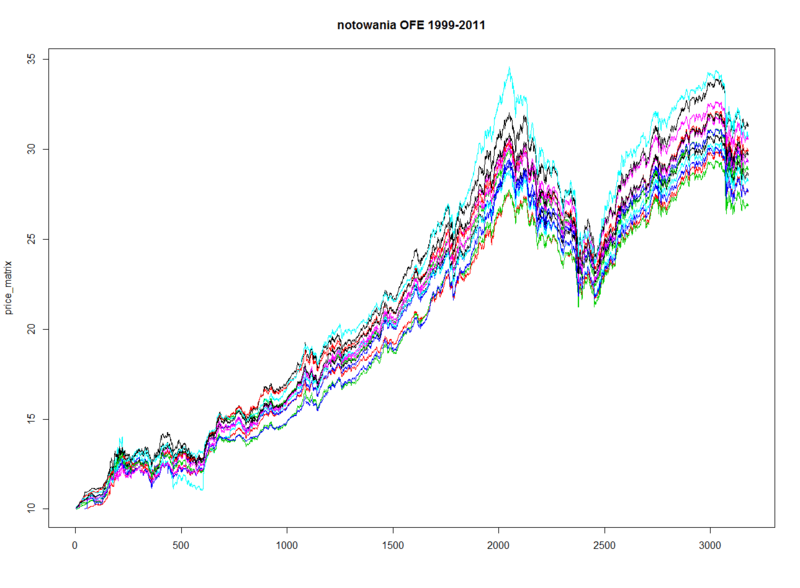 The Polish (mandatory) pension funds - OFEs - were down in 2011. 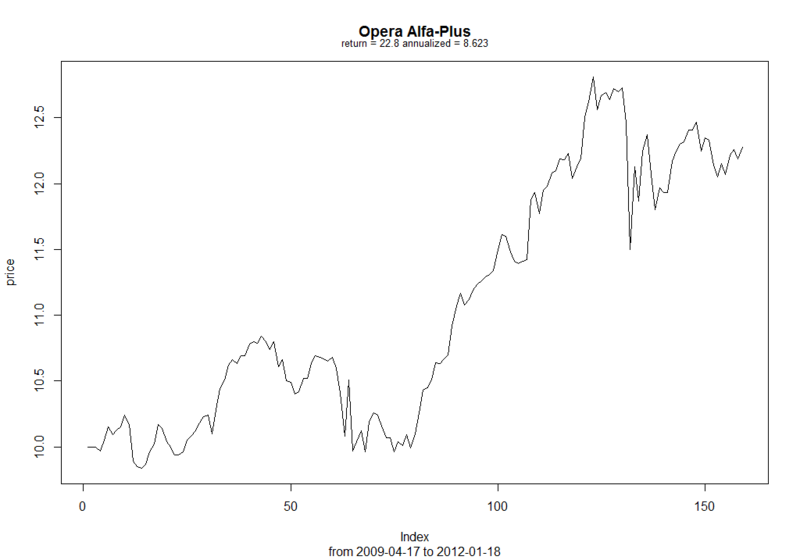 Average one year performance (as of yesterday) was -3.72%. Nevertheless, they are on average +192% up over their 13 year period of existence. 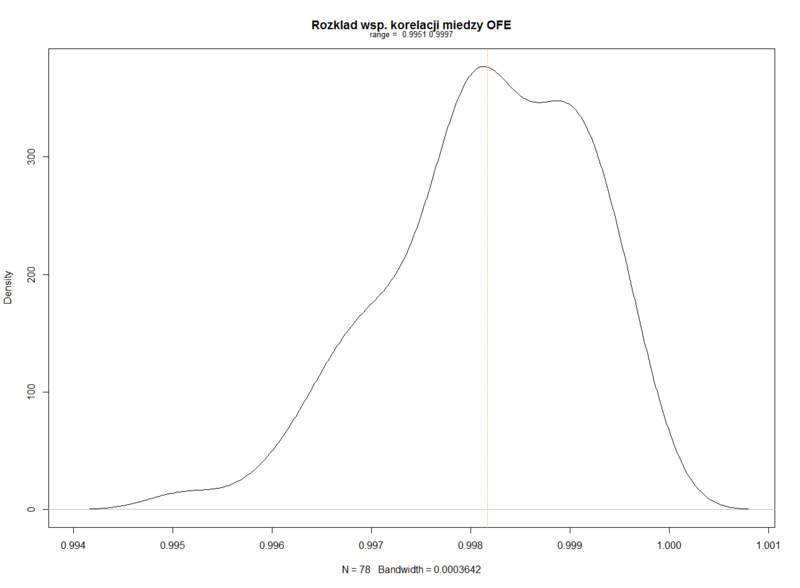 And that translates into a quite nice +8,6% CAGR. Clearly, OFEs are not competitive. 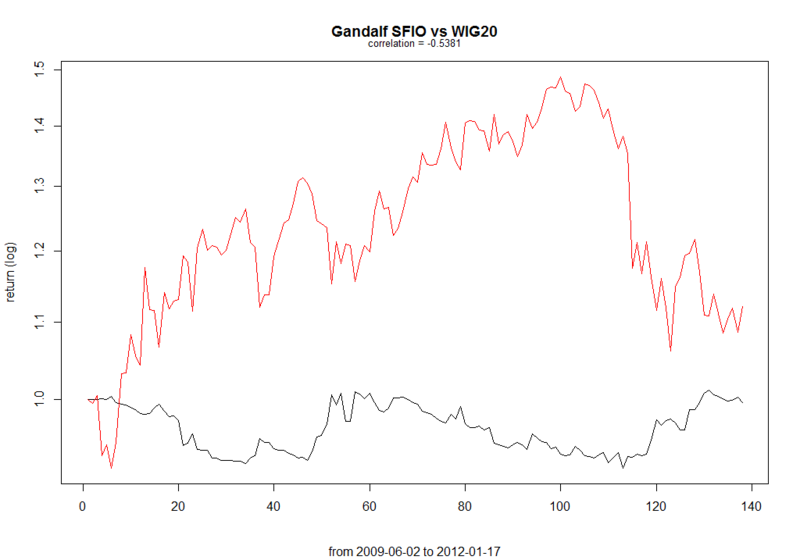 For extremely high correlation they are also a potential source of systemic risk. 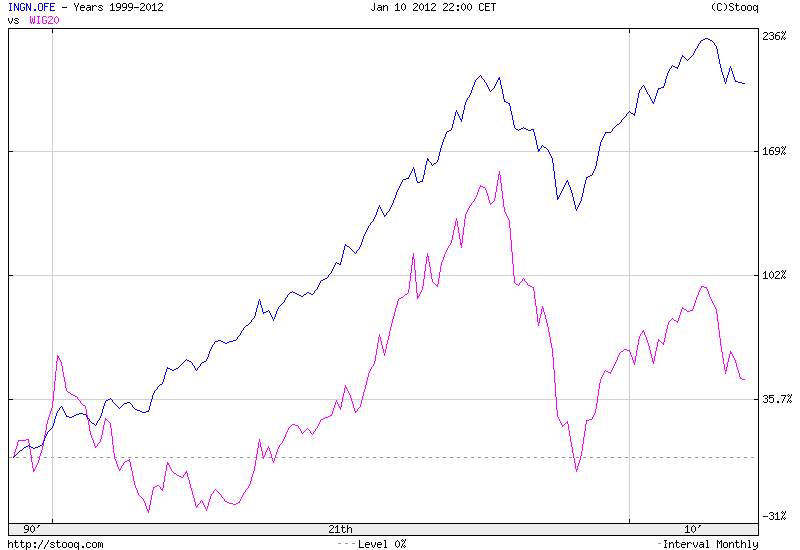 The Polish stock market index WIG20 has recently decoupled from the US market index S&P500 quite significantly. Something will have to correct... But which one? 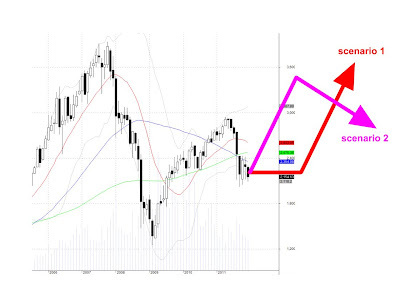 Or is it just an opportunity for a convergence trade without trying to guess the direction? Was the yesterday's funny WIG20 action a signal of the future developments? 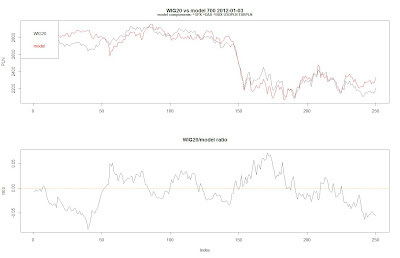 Nevertheless, it's worth keeping in mind that even though Polish and US markets are highly correlated, correlation is not a stable measure. 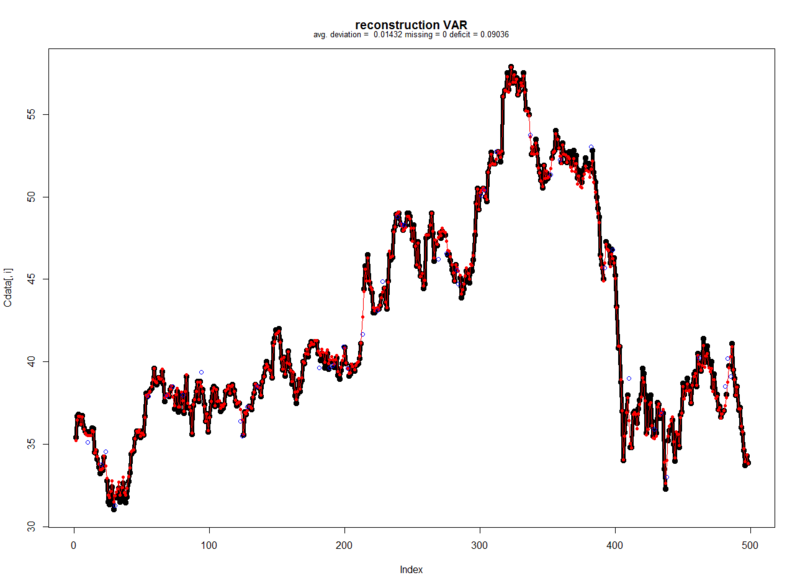 It's much safer to check the spread between the markets based on their cointegration. 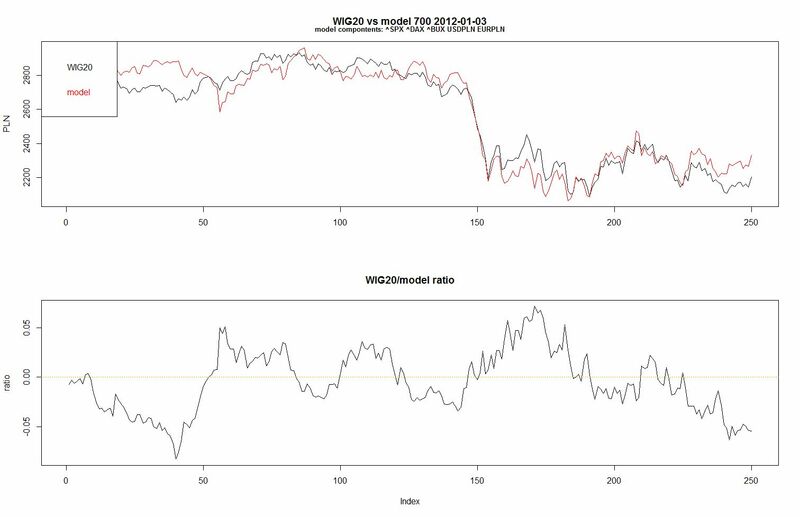 Last but not least, S&P500 remains decoupled from the wider risk assets context model. Nevertheless, WIG20 separated with the most liquid futures by 45 points. 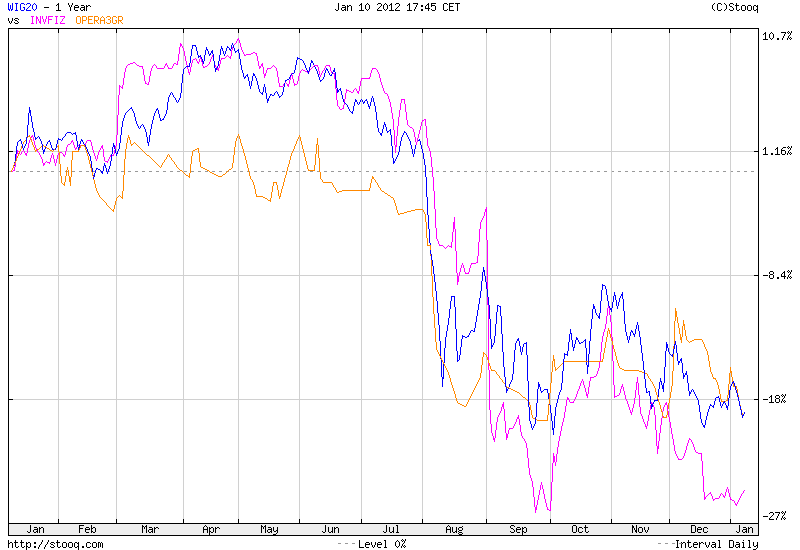 2011 was definitelly a bad year for many hedge funds. The Paulson Advantage Plus fund managed by John Paulson who had made a killing during the recent sub prime crisis, lost more than 50% this year. 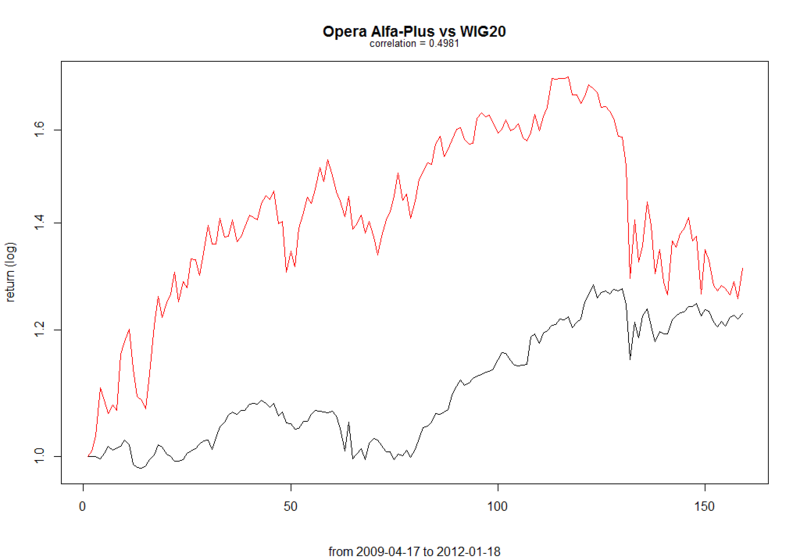 Decoupling was demonstrated by small funds like Opera Alfa-Plus and Gandalf SFIO, but that allowed only for capital preservation instead of accumulation. 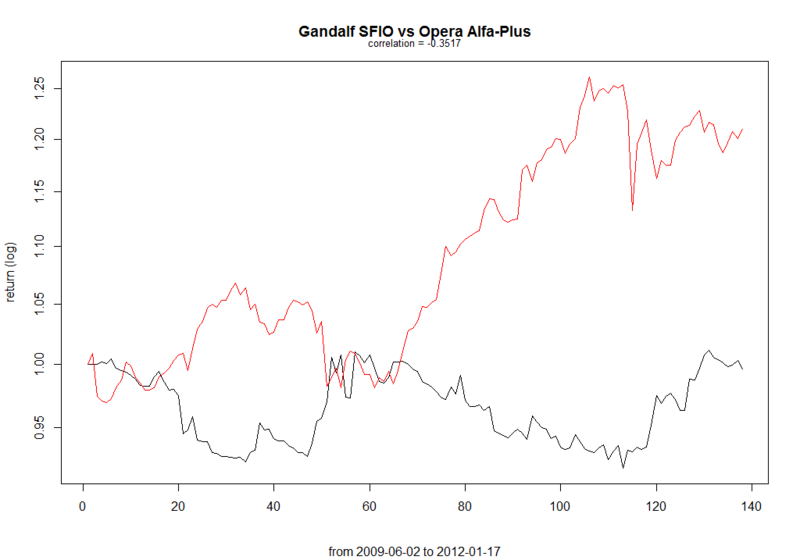 Opera Alfa-Plus finished the year just 1.24% higher, while Gandalf returned 3.75% (January 4th, 2010 - January 3rd, 2011). 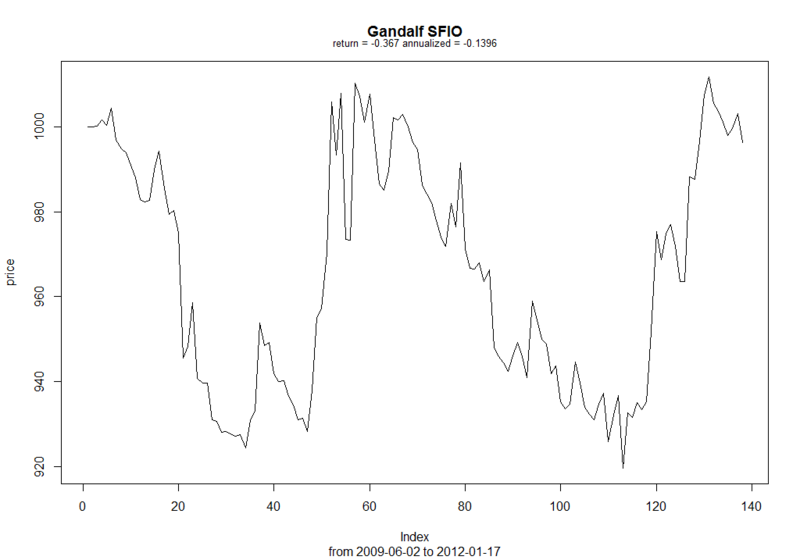 Hedge fund / non-benchmark funds were advertised as market neutral, able to withstand market turbulence. Unfortunately it seems most of them demonstrate unhealthy herd mentality. Especially when they also have problems with beating the market in good times. 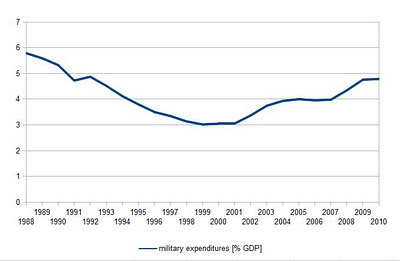 President Obama visited Pentagon yesterday to announce significant military budget reductions over the next decade. 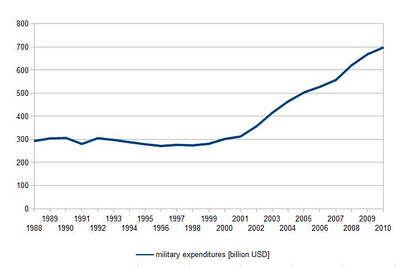 The military expenses should be restricted to $487 billion annually reduced by $487 billion in the coming years. 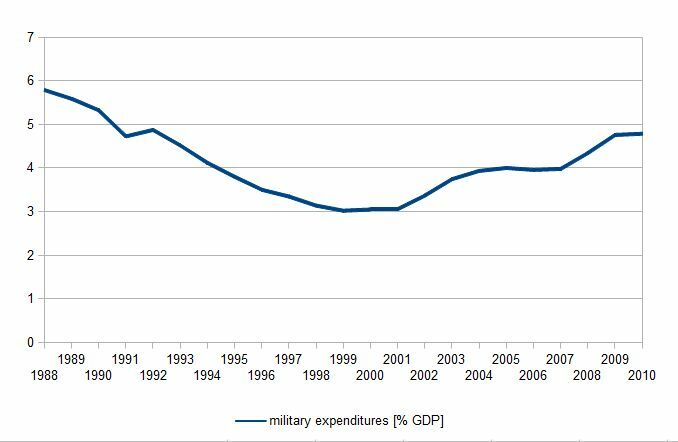 Taking into consideration, that the United States spent $698 billion for its military in 2010, that translates into an unprecedented cut by 30% and CAGR of -3.5% over 10 years an average cut of 7% annually. 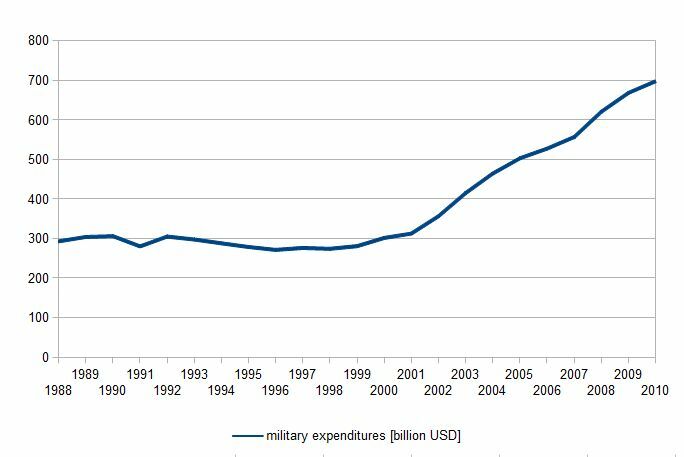 However, the US military budget was close to "just" $500 billion as close as in 2005, before it shoot to the last year's level of nearly $700 billion. 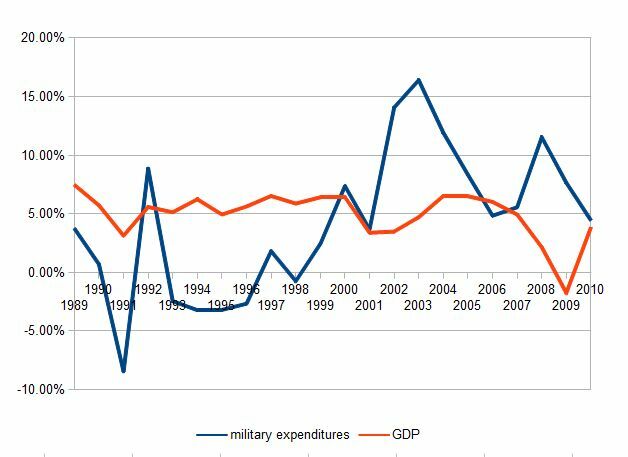 acted as counter cyclical factor in the most recent recession. 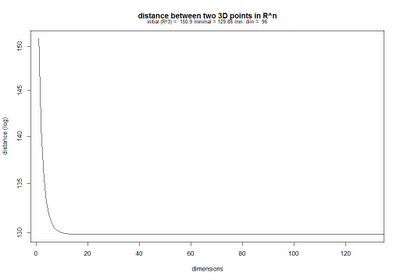 Continuing experiments with the "context models" mentioned before, I have prepared a preliminary model for WIG20. 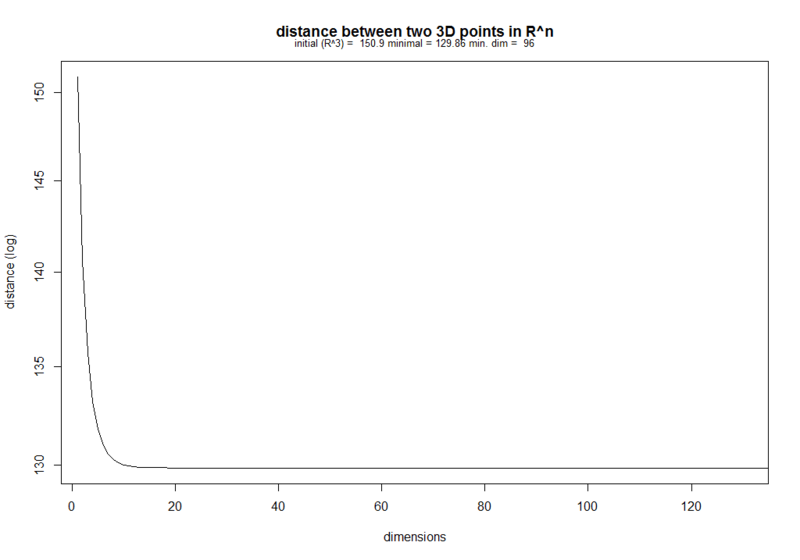 Above you see the visualization of the model result as of 2012-01-03. 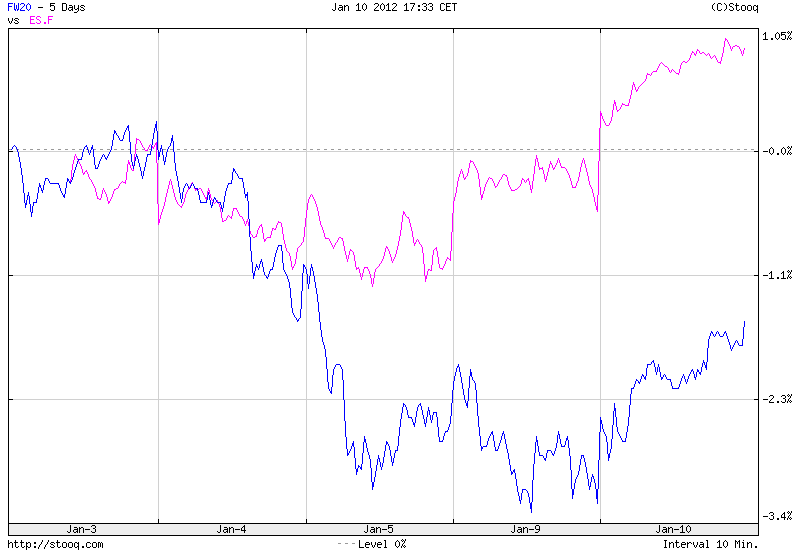 Seems the Polish market may be oversold versus its "context". This would correspond pretty well with the "market prediction for 2012" described here. I've been reading today about the analysts expectations for the performance of the stock market in 2012. 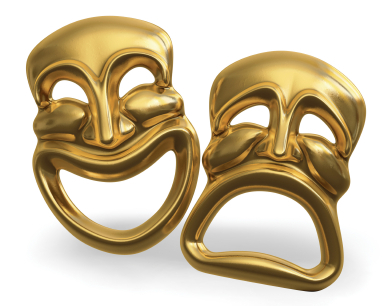 Surprised by this year's market turmoil, they expect volatility to remain heightened. 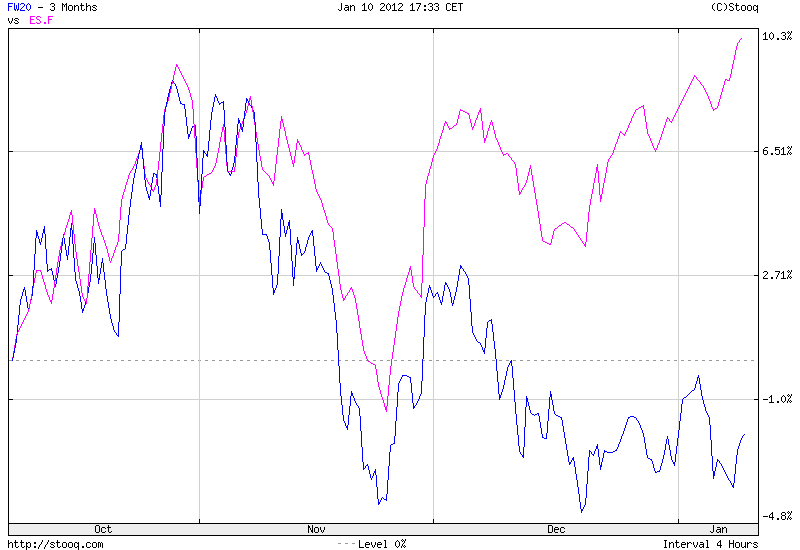 They expect either side-bound market or further declines, before later increases. 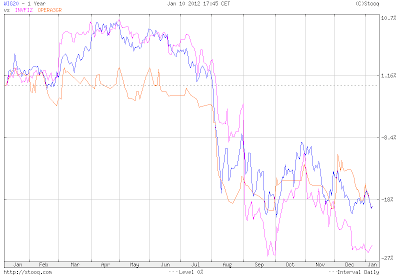 The Q1 should give the definitive answer about the direction of the market in the rest of the year. In total, they are much more worried and divided than last year. And - as I wrote earlier - they are not alone. 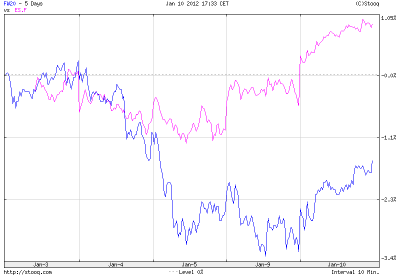 Let's compare what the analysts were expecting at the beginning of 2011. The consensus on December 24th, 2011, when WIG20 was at 2768.66, was for the market to raise by 10-15%, most probably after expecting correction to 2500 in 2011Q1, possibly to 3300-3500. 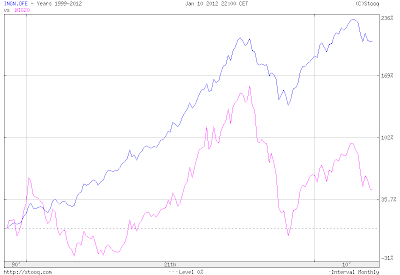 In reality, the WIG20 decreased by 22.15% (from the open of 2754.67 on January 3rd, 2011 to the close of 2144.48 on December 30th, 2011). 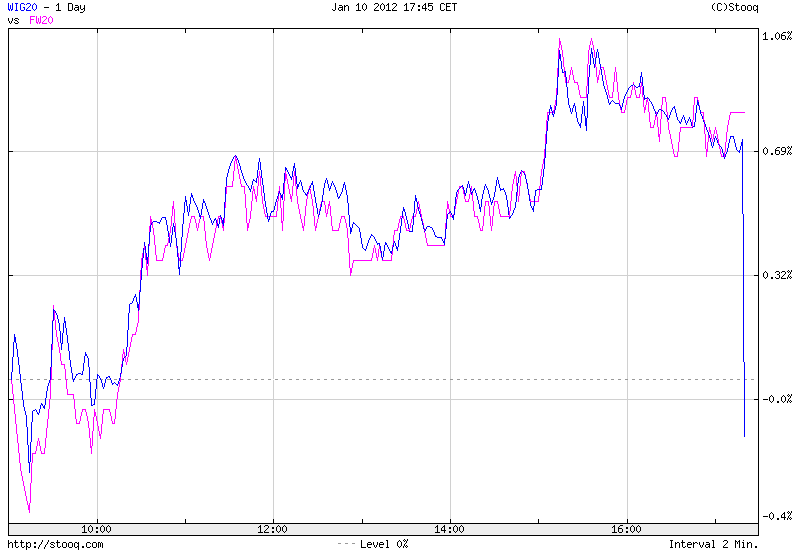 In the meantime, it reached the peak of 2942.39 (i.e. +6.81% from the beginning of the year (BYD) and +6.27% from December 23rd, 2010) on April 8th to fall to 2018.99 (i.e. -26.70% from the BYD) on September 23rd, 2011. Since it seems, analysts are usually dead wrong, the best strategy would be to take to opposite view to their current predictions. 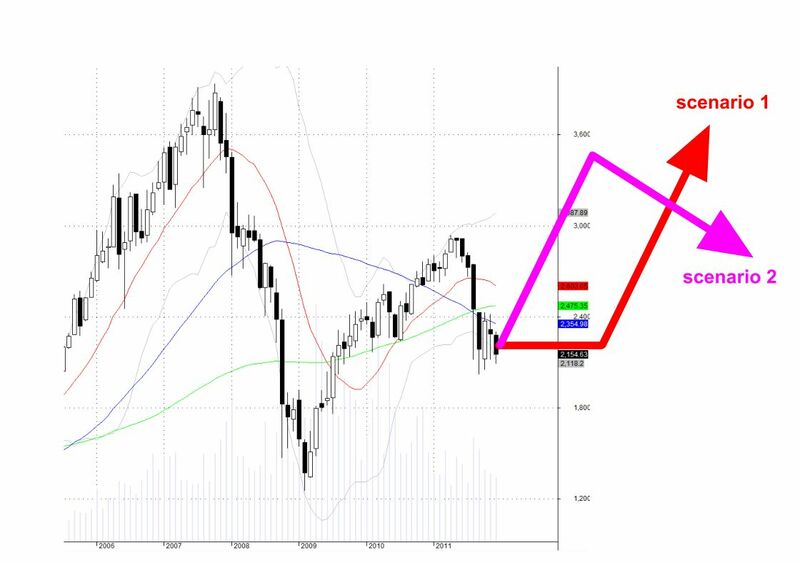 Hence, we should either expect the volatility to come down and market to go up (scenario 1) or the market to go up at the beginning of the year, before correcting later (scenario 2).